On Thursday evening, June 6th, the city of New Rochelle had a party…a BIG party. In the middle of a year-long celebration for the city’s 325th Anniversary, New Rochelle hosted a gala/dinner/dance that will be remembered for years. 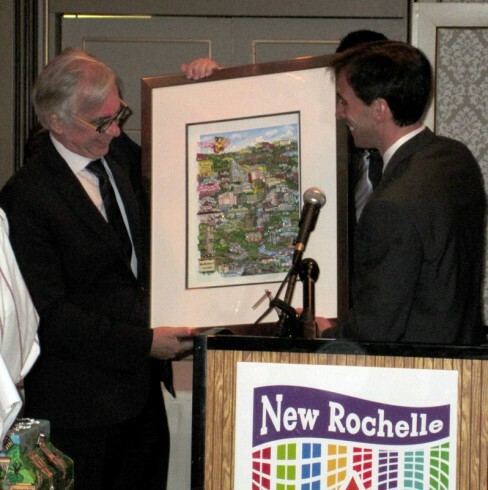 Mayor Noam Bramson led a star-studded field of local politicians and VIP’s in welcoming a contingent from France’s La Rochelle, New Rochelle’s sister city. 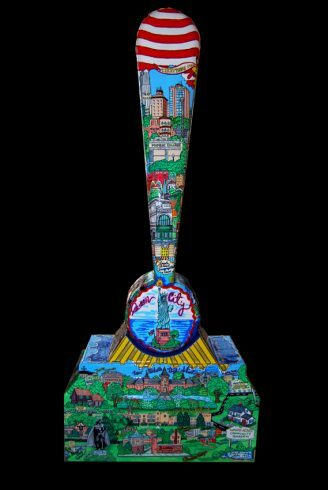 The highlight of the evening was the unveiling of an original commemorative sculpture created and donated by Charles Fazzino to the city for permanent installation. 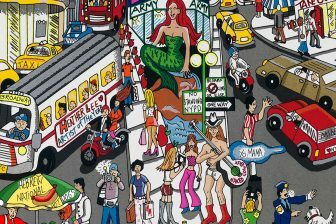 Fazzino literally put the exclamation mark on the evening’s events with his exclamation point-shaped sculpture highlighting the best of the city’s 325 Years. During the evening’s festivities, New Rochelle Mayor Noam Bramson also presented Mayor Bono from La Rochelle with a specially framed, 3D artwork by Charles Fazzino based on the sculpture. The celebration continues with Kite Day at Davenport park, the Fatt Calfe Cermony, a Bastille day Flag Raising, Restaurant Week, and more. 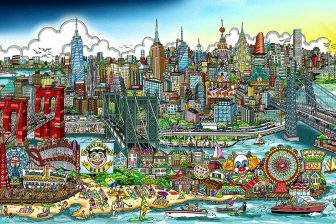 For a complete listing of 325th Anniversary Events, visit www.newrochelleny.com/325. New Rochelle Mayor Noam Bramson (R) presents La Rochelle Mayor Bono (L) with an official 325th Anniversary 3D fine art print by Fazzino.